6,000: The approximate number of people with HIV/AIDS in Minnesota. $105,000: The amount of money Dining Out for Life raised last year that went directly to those affected. April 30: The day you can help this year! 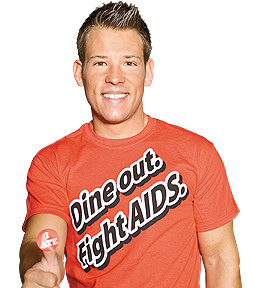 Dining Out for Life is a nationwide fund-raiser to help fight HIV/AIDS. When you dine at one of the many participating restaurants in the Twin Cities on April 30, a percentage—between 15 and 100 percent of the proceeds, depending on the venue—will go to The Aliveness Project (TAP), an organization serving those affected by HIV/AIDS in Minnesota. TAP is a small community center in South Minneapolis designed as a space where members can enjoy complimentary specialized care, such as acupuncture and massage therapy; attend workshops and seminars featuring topics related to HIV/AIDS; and partake of any of the meals served six days a week. Taking a holistic approach to battle the difficulties associated with HIV/AIDS, the center provides yoga classes, chiropractic treatments, shiatsu, and many other ways of alleviating discomfort for its members. Last year, TAP provided more than 3,000 appointments, all of which were free of charge. TAP serves one out of every four people known to be dealing with HIV/AIDS in Minnesota, according to Tim Marburger, Director of Fund-raising and Special Events. Last year alone, 1,517 unduplicated individuals were served at TAP. A sense of community and belonging among fellow members pervades TAP. “You can see the weight of the members’ secret come off their shoulders when they come in, and all of a sudden are able to talk [about being HIV-positive],” Marburger says. TAP strives to provide enough emotional support, food, and medical care to keep members healthy. Without the huge number of volunteers who have helped throughout the years, the organization wouldn’t be the success it is today. Last year, more than 1,000 volunteers helped with cleaning, receptionist work, and kitchen duties. “We served more than 35,000 meals, and gave out more than 44 tons of food last year,” Marburger reports. All the food, services, and seminars were made possible because of Dining Out for Life last year, which awarded TAP around $105,000. “We are one of the state’s best-kept secrets in the HIV/AIDS community,” Marburger remarks. TAP almost has doubled in size since 2000 in the number of people served. Many of those who are HIV-positive now are finding out about the benefits of joining this organization. Marburger explains the difficulties in seeing this expansion, however—the more people in and out of the center, the more of a reality it becomes. “It’s really hard, because it’s a disease, and it’s kind of off the radar now,” Marburger shares. People are living longer—thanks to new medicines—and as a result, Marburger finds that people think there’s a cure, but there isn’t yet. Medications certainly assist in making possible a longer life, and helping ease the pain, but some setbacks to consider are: What’s the quality of life? What are the side effects? How are these medications affecting everyday living of those with HIV/AIDS? Much more work remains to be done, and that’s what TAP tries to do. Despite the seemingly high number of HIV-positive individuals in this state, Minnesota has far fewer people infected than many other places in the world. The Center for AIDS Prevention (CAP) estimates that nearly 42 million people worldwide are living with AIDS, and that around 14,000 new infections take place every day, half of them among people aged 15 to 24. According to the 2009 Kaiser Family Foundation fact sheet, nearly 1.7 million people in the United States alone have been infected with HIV since the first case was reported in 1981. Approximately 580,000 have died. Unfortunately, not all infected with HIV/AIDS are as lucky as those in Minnesota, who have resources at their fingertips to help them control the disease. CAP points out that the United Nations estimates approximately 14 million orphans currently are infected with AIDS, and predicts this number will reach 25 million by 2010. HIV/AIDS—although an interminable epidemic that sometimes seems like it has been thrown on the back burner—is a real issue. It’s prevalent in our own neighborhoods, and every individual in the Twin Cities can do something to help. On April 30, just by dining at one of the restaurants participating in Dining Out for Life, you will be making a donation to TAP. For a list of restaurants, visit www.diningoutforlife.com/minneapolis/participating. Many volunteer opportunities exist for those who wish to do more than just dine out. Visit www.aliveness.org for information about volunteering as an “ambassador” for Dining Out for Life. Although many may consider HIV/AIDS to be a problem affecting mainly Africa and other impoverished nations, it is a reality here in the Twin Cities. With a little help from everyone in the community, TAP will be able to reach out to our neighbors living with this infection, and help improve their quality of life. All it takes is dining out on April 30. Terrific work and a a great idea. We have so much work to do in educating our public. A group of us “Friends of All Saints Camp” (Nassau, Bahamas) are struggling to get basic needs met for those at HIV/AIDs camp, only place left for those on the street…………a long way to go providing what you’re making possible. Our small island will not be able to keep up with the demand/cost of medications, so we have to work harder at reaching our young people and educating them.